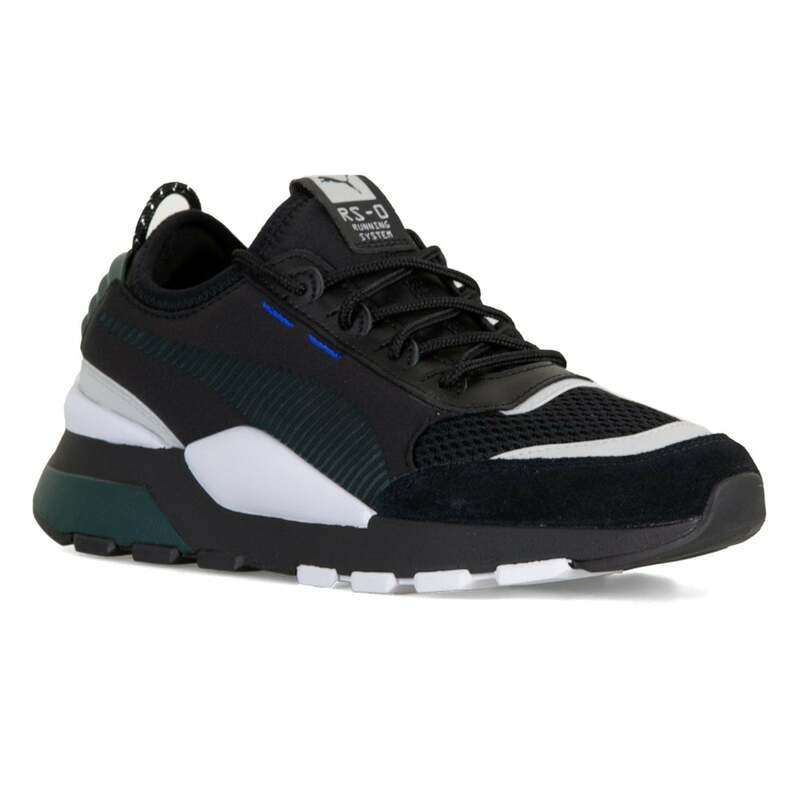 These lace-up Puma RS-0 Winter Toys Trainers have a textile upper and are black in colour, with grey, white, blue and green detail. They have a textile lining with a padded footbed for unbeatable comfort. It features a breathable mesh on the toes and ridged details on the sides. Puma branding appears on the tongue and the sole is a thick black and white rubber with Puma's Running System technology.